More than anything else, Movado Master represents the evolution in design of the brand itself that gives it a cutting edge. By defining the next generation elite class of women who are bold, focused and definitive trend-setter with this new innovative concept in watch making, Movado reflects how far it has come with times. Movado Master - Taking Movado to newer heights. A welcome transition from the sleek looking models with inconspicuous markers and minimalistic approach; a look that for years has come to us as undeniably Movado, this one is a clear distinction with patterns and textures, bells and whistles. Though it does integrate the quintessential 12’o clock single dot and Movado’s singular lightness facet, similarity in aspects of look ends here. The graduating hour markers make it actually readable while the gear wheel type bezel with black sapphire insert in steel, that looks like it moves (though it doesn’t) brings out a dimension of untellable ruggedness to the Movado Master elegance. 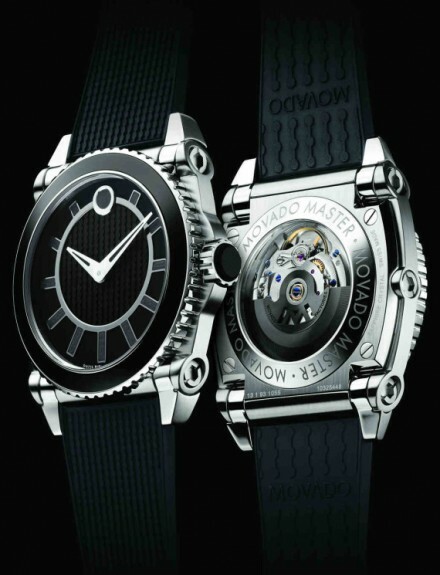 With automatic movement (Swiss, of course), solid black dial surrounding dot textured center, textured black rubber strap, the design of the Movado Master is pretty interesting, to say the least. This luxury timepiece is the meeting point of undisputable beauty and precision craftsmanship, waiting to embrace a beautiful wrist. Great piece! I loved the smooth and sleek phrasing. 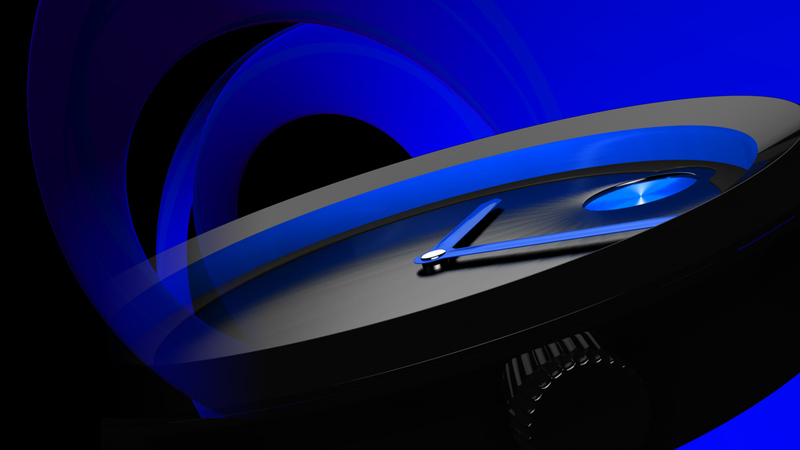 Copyright © 2011 Movado Reviews, Inc.